#215: Lagaan: Once upon a time in India. I would have loved to present to you the list’s first cricket movie now, with Lagaan showing the epic struggle for a village’s survival by, yes, playing cricket. However, due to me being unable to find subtitles for this film I didn’t get to watch it. (Ed – That’s hardly an excuse) The only thing I know of is its first cut being seven hours and thirty minutes long. Which has of course absolutely nothing to do with me not watching it. #214: Before Sunrise. The first of the Sunrise-Sunset-Midnight series, arguably the best but certainly the one with the highest rating. Celine and Jesse are two strangers on a train to Vienna who timidly start a conversation. Since they like talking to each other Jesse persuades Celine to get off the train with him and explore the city for the night. What follows is exactly what we need to break up the layers of doughy acceptance Hollywood’s romance flicks are so used to lavishly coat us in. Theirs is not a love at first sight. Yes, we know that they will get together at the end, but initially it’s just physical attraction that made Jesse try to establish contact with Celine and they are both perfectly aware of that. Still, they subsequently connect with each other by sharing their experiences, doubts and that obscure concept we helplessly label “chemistry”; it’s not because Jesse hits the gym every day and Celine has trained herself to walk a straight line in high heels and flutter her eyelashes after having consumed five years’ worth of whichever country’s Next Top Model and is now deemed worthy of finding a mate. 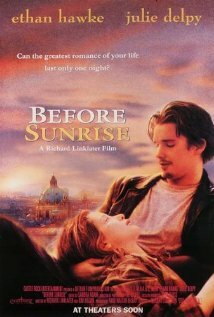 The only aspect Before Sunrise has in common with most other romances is that its protagonists act against their better judgment. Tragically, one night in Vienna is all they will have since Jesse has to catch a plane the next morning, and in 1995 smartphones weren’t available yet to rescue the damsel and the dude in distress. #213: The King’s Speech. Of all British monarchs, those who were called George had it worst. When he turned 72 in 1810, George III suffered from partial blindness and rheumatism; a year later he was permanently insane, completely blind, partially deaf and demented. He was neither capable of understanding that he was declared King of Hanover in 1814, nor that his wife Charlotte died in 1818. He spent the subsequent Christmas festivities in bed after he had lost his ability to walk, and babbled nonsense for 58 consecutive hours. So, when Tom Hooper needed movie material of a king suffering a cruel fate, he obviously went right for George VI, who had a slight stammer. 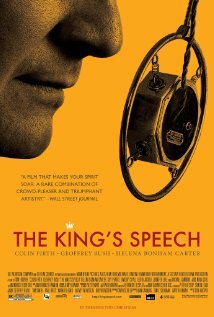 The King’s Speech’s plot doesn’t expand much beyond its title, after all it literally is a movie about a king delivering a speech, however cumbersome the task might prove. The phrase “refreshingly unconventional” has been used to death, but I do have to give a shout-out to Colin Firth’s and Geoffrey Rush’s acting for making the events a lot more enjoyable. Granted, this happens at the expense of historical accuracy, but there are books and documentaries about the actual Duke of York’s life that are a lot less enjoyable to make up for it. Colin Firth’s character can be inspirational to people struggling not with just a speech impediment, but who are tormented by self-doubts and generally not very confident. This might be especially useful for younger people, unless, of course, they’re American. Swearing just so happens to temporarily suppress King George’s stammering and it’s therefore used in his therapy, netting the otherwise completely harmless movie an R rating (admits no one under 17 unless accompanied by an adult) in the United States, because apparently even a single scene has the power to corrupt children from there to Bangkok, causing them to run out into the street screaming profanities and fornicating left, right and centre. 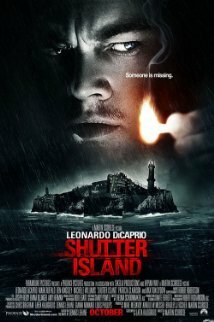 #212: Shutter Island. Leonardo DiCaprio is US marshal Teddy Daniels, assigned to investigate a missing person report in an asylum for the mentally ill. For frequent cinemagoers, hearing a reference to “mental illness” in a mystery thriller carries a signal effect just as strong as “abundant oil deposits” would for a war council. These viewers could have a look at the movie poster (with the sentence “Someone is missing” portentously floating in front of Daniels’ face) and correctly guess the plot of the film. For the rest of the audience, however, there is barely anything deducible from the events in Shutter Island. Daniels meanders from one investigative conversation to the next, interrupted by obscure dream sequences, to finally be presented with a shocking revelation of what was really going on. For the two hours leading up to this finale you will either passively wait for the ending that you already figured out when you took your seat, or you will have no idea what is happening at all, in which case you will passively wait for the ending AND undeservedly feel foolish for not being able to figure anything out. Yes, while watching Shutter Island for the second time you will be able to decipher Daniels’ dreams and hallucinations, but that’s only because they’re now familiar to you, not because they “all make sense now” and function as clues to what will eventually happen. #211: Rocky. Boxing. Finally. So this list is quite interesting. Apart from Lagaan, which is primarily a musical anyway, the four sports movies it contains are exclusively about boxing. I’m of course using “sport” in a traditional sense here: If the physical activity doesn’t even cause you to perspire it’s not a sport. And no, getting sweaty palms from a tight grip around billiard cues or steering wheels doesn’t count. Even someone who isn’t interested in watching a real boxing match might still consider seeing a movie about it. The advantages of boxing as source material are quite clear. It may be regarded as a remnant of primeval savagery but it can also be reckoned as one of the most natural forms of competition. Rarely, if ever, do script writers concern themselves with singling out the matter of the score since the issue is conveniently settled by having only one of them stand upright at the end of the match. Almost every other sport is inferior in this respect, be it tennis, golf, athletics or fencing (but oh, the potential! ), as it always requires the arduous task of keeping track of a continuously rising scoring system; to an extent this is even true for martial arts. 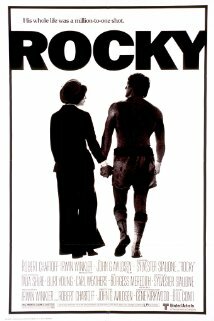 It would be ignorant for me to say that the plot is restricted to boxing and feeling sorry for someone drinking egg yolk out of a glass, but I wager the underlying sociological topicality of Rocky would be of little to no interest if he had battled Apollo Creed on a course with 18 holes rather than for 15 rounds in a ring. DROPOUT: Underground. An Emir Kusturica motion picture, just like Black Cat, White Cat. A group of Yugoslavians flee underground from the war to produce weapons and stay there even after it’s over, because their leaders convince them that hell is still raging above them. I can comfortably say that I didn’t get this film. It’s stuffed with abstract plot devices and metaphorical quirks, to a point that it seems more of a repository of the director’s ideas than a single coherent movie. (Ed – except for the fact that this is one of the most riotously inventive films of recent times) There is a man who keeps breaking bottles on his head. Does that even mean anything? This was a movie where I confusedly shook my head after finishing it and moved on. If you should feel particularly insane some time and want to prove me wrong, I would recommend watching the 320 min director’s cut. Niklas was listening to Pleather for Breakfast while writing this article.